The meeting will be held within in the Yücelen Hotel. For further information about the Hotel, see Travel & Accommodation. We recommend participants stay in this hotel. Participants should arrange their accommodation directly with the hotel. Modern, spacious and comfortable meeting rooms with full digital projection facilities will be provided. The Hotel itself is located next to the sea at the western end of the waterfront in Akyaka, a small town on the south-facing coast of Gökova Bay, Muğla Province, Turkey. More information about the town can be found in, for example, Wikipedia. 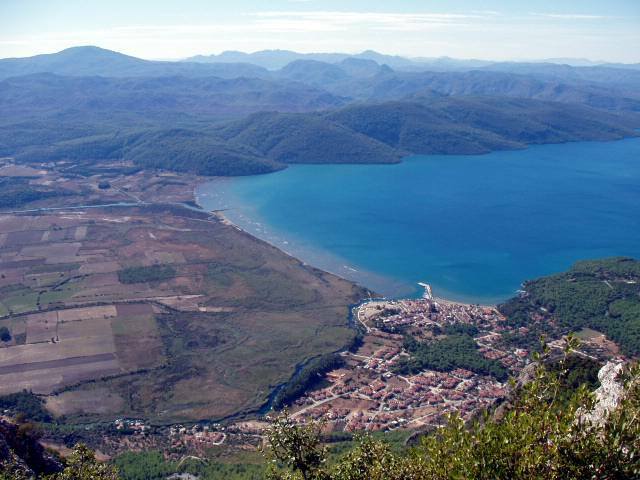 Left: general view of Akyaka. The Hotel is just visible by the sea at the right hand end of the town, next to the woodland. Photo: www.akyaka.org.